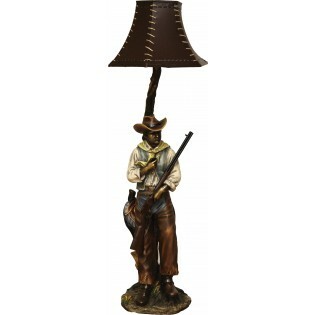 Cowboy Floor Lamp is made of hand painted resin 64" tall. Amazing detail - sure to make a statement in your home! Manufactured with UL listed parts, recommend 100W max bulb. 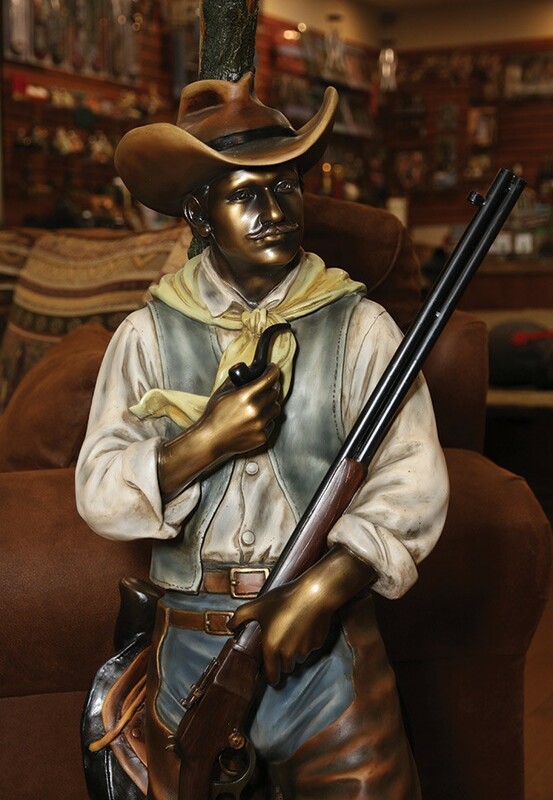 Cowboy Floor Lamp is made of hand painted resin 64" tall. Amazing detail - sure to make a statement in your home! Manufactured with UL listed parts, recommend 100W max bulb.